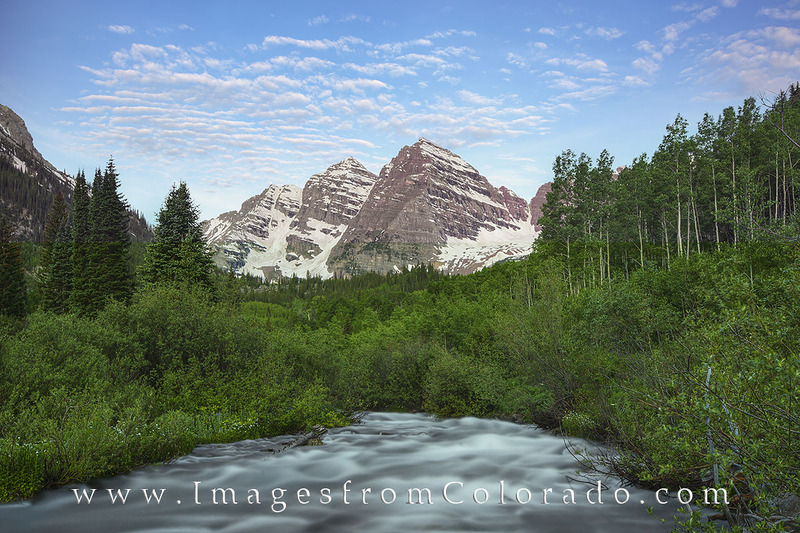 Morning comes to the Maroon Bells Wilderness in the Elk Mountain Range. This beautiful area rests between Aspen and Snowmass and provides miles of hiking trails and even a path up the iconic Maroon Bells, two of Colorado’s 14,000’ mountains. Photo © copyright by Rob Greebon.